When arrested for Driving Under the Influence “DUI” in Las Vegas, Nevada, two separate, but very important processes are immediately initiated. There is the criminal side to your DUI case, and the DMV Administrative Hearing side to your DUI case. After you are arrested for a DUI, you will be forced to submit to a blood or breath test by the arresting officer. If you submit to a breath test, and the two breath samples show your breath alcohol content “BAC” are .08 or above, the officer will immediately take your Nevada driver’s license. The officer will then hand you a pink slip of paper that will allow you to drive for only seven days from your arrest. Unless, you take action, you will not be able to drive after the seventh day as your driver’s license will be revoked. 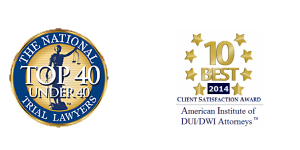 Therefore it is important to contact Las Vegas DUI Defense Attorney Michael A. Troiano, as soon as possible. He will immediately contact the Nevada DMV on your behalf and request a valid temporary license, which will remain valid until the entire DMV Administrative Hearing process is complete. If you are arrested for DUI and submit to a blood test, you will temporarily keep you current driver’s license, but once the DMV receives your blood test results they will immediately send you a letter notifying you that your license is being revoked. Once that letter is received, Mr. Troiano will contact the Nevada DMV on your behalf and request a temporary license. In addition to requesting your temporary driver’s license, Mr. Troiano will also request a DMV Hearing on your behalf. At this hearing, Mr. Troiano, will have an opportunity to listen to the arresting officer’s testimony regarding your arrest, as well as question him or her, on any legal or factual inconsistencies. Mr. Troiano will then be given the opportunity to make a closing argument to the Administrative Law Judge on your behalf and request that the revocation of your driving privileges be dismissed. If the DMV Hearing Judge, finds that the officer did not have a “reasonable belief” that you were driving or in actual physical control of a vehicle with a BAC of .08 or above, they will issue a written decision informing you of the dismissal. To be clear, this process is completely separate from the criminal portion of your case, and the result of this DMV Hearing will have absolutely no bearing on the outcome of criminal case. But, in Mr. Troiano’s experience, the opportunity to speak to, and cross-examine your arresting officer, prior to your criminal case is always a benefit to the defense of your case. If the DMV Hearing Judge, does find “reasonable belief”, that you were driving or in actual physical control of a vehicle with a BAC of .08 or above, they will issue a written decision stating that your driving privileges will be revoked. A first time DUI driver’s license revocation is for a period of 90 days. Luckily, as of October 1, 2018, you now have the option to forego a drivers license revocation, if you equip your vehicle with a breath interlock device. A second time DUI driver’s license revocation is for a period of one full year. A third time DUI driver’s license revocation is for a period of three full years. Lastly, before you are allowed to reinstate your driving privileges you must take the written driving test again, and provide proof of SR-22 insurance which is insurance for risky drivers, and carry this special insurance, for a period of three years. 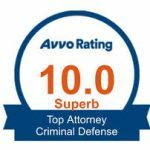 Las Vegas DUI Defense Attorney Michael A. Troiano has personally participated in hundreds of DUI Administrative Hearings on behalf of his clients on DMV Hearing And Driver’s License Revocation. He will explain, step by step, the detailed process of fighting for your driving privileges, after a DUI arrest, in addition to defending the criminal side of your DUI case.